When we were faced with the unavoidable task of temporarily closing one of the main roads (London Road) in the centre of Redhill, to enable us to erect a tower crane to continue with the works, we turned the disruption into an event for the community using social media to positively promote the events we had planned for the week. 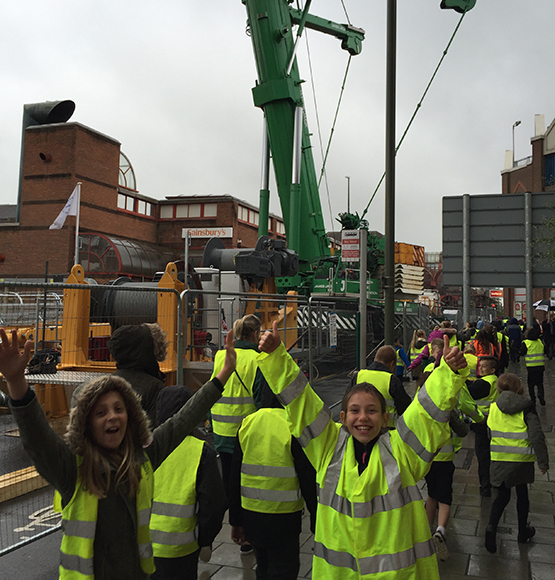 These activities included inviting local schools along to meet Ivor Goodsite, as well as giving them the opportunity to experience the cranes delivery and erection. There were 55 children that came visited the project, to be involved in the event alongside many members of the public that showed their support of the project despite the disruption that was unavoidably generated. This built better relationships and showed consideration for the local community.